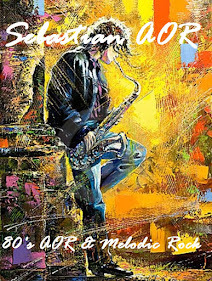 - It started in 1983 when the 2 buddies Chris and Jan founded the band. The band got it’s name when they were asked to write the titlesong for a film called "Wild Force" the film was going to be directed by Renny Harlin and produced by Markus Selin. 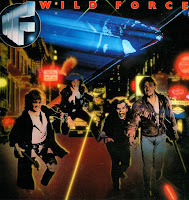 Wild Force got it’s name and a song was written called Wild Force but the movie was never shot. In spring -85 W.F released its first single in title "You’re alright/ Only the strong survive". Late fall that same year Putte "Ozzy" Jansson (drums) and Tom Jansson (bass) (not releated) joined the band. Mauri Wälimäki (keyboard) also stepped back in for the North Sweden Tour, from which there are a lot of funny stories that wasn’t that funny at the time. In spring - 86 W.F won the finnish Rock-King competition and got to release their second single in title "Wild Force/Inside lookin’ out". Tom joined the army and Lido Salonen played bass. Later the same year W.F was singned to the independing recordlabel Lace Factory Ltd. and distributed by CBS (Sony Music). 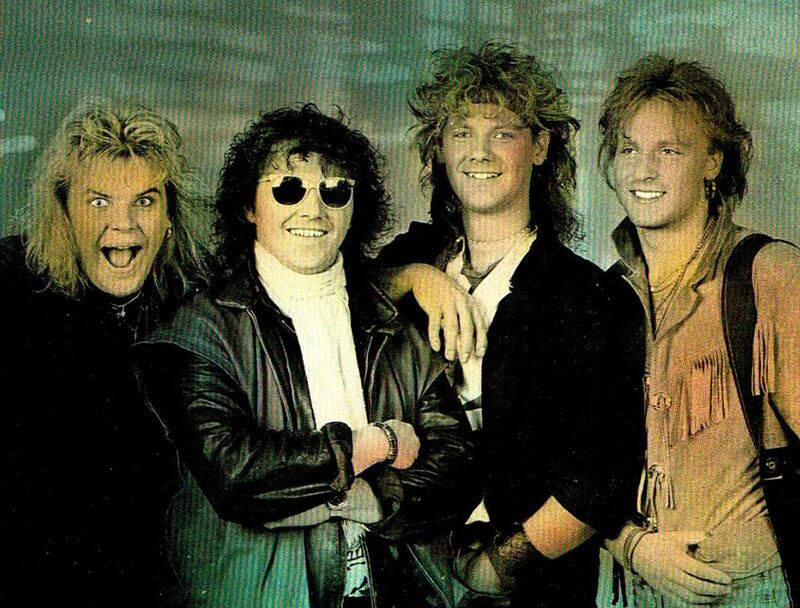 In the beginning of -87 W.F recorded their third single "Frozen hearts/Don’t rush your future" at Sonet studio Stockholm, with producer Dan Sundquist. They shot their first video, "Frozen hearts" directed by Anders Engström, in an empty cold factory at nights in spring the same year. 2 weeks in the hottest of July the were at Ton&Teknik Umeå recording songs for their debut album. They finnished the recordings at B3B studio in Stockholm were the album also were mixed by Dan Sundquist. It was released in Finland in fall the same year. At the same time keyboardplayer Hexa Elo joined the band and Tom was back on bass. In March -88 They went over to Los Angeles to shot 2 videos with director Renny Harlin and producer Markus Selin the songs were the upcoming singles "S.O.P.H.I.A and I want you to stay". At the same time they played a gig at the world famous L.A rock club "The Whisky". The album was released in Sweden and Norway in the spring and in Spain later the same year. After the Us visit they toured for the summer and in to late fall. At the same time Music TV-Europe started running their video of S.O.P and in Jan.-89 "I want you to stay" was on the playlist and aired many times per day for several weeks. In spring -89 Tom left the band. The rest of the band went back into Sonet Studio to record 4 songs, with Dan Sundquist, of which " Wasting your time/ Orly" was going to be mixed at Polar studio and released as the next single in the summer of -89. In the fall W.F went to Hungary to write more songs in a studio outside Budapest. After dissagreements with Dan, WF continued the recordings of the upcoming album, with bassplayer Mats Engberg in Ton & Teknik and produced the rest of the album themselves. The recordings were finnished at Persikka studio in Pori in the summer -90 and mixed at B3B in the fall by Mats Lindfors. Mats Engberg didn’t want to go touring so Micke Reinoldson (he too from Umeå) stepped in right before the release of the next single "Junle of Love/ Iwant you to stay" and the making of the video. The video was shot partly at Club 25 in Vaasa and partly in Istanbul,it was directed by Anders Engström. The album was to be released on Epic (Sony Music) in the beginning of -91, but was not released before late April. W.F did a release gig in Vaasa at Club 25 on a Tuesday in April in front of an intusiastic audience. The evening didn’t start too good, in the first song of the set Chris jumped off the drum-riser and hurted his knee so bad that he had to stand on one foot for the whole set and be carried off stage after the gig. It meant that he stood with crutches in Helsinki 2 days later at the actual release gig. You don’t cancel gigs because of a bum knee. The following year it started to get hard to keep the band together, mainly ‘cause of the distance between the members in the band, Hexa lived in Helsinki, Micke in Umeå and was concatrating on his own band, X-Union. So in spring -92 Wild Force did their last gigs with Tom back on bass. Wild Force did one more gig in the nineties at Puttes memorial concert, he died of cancer 20 July -96. It was an acoustic set but with Putte playing drums on the last song "Jungle of love" from a screen with picture from the video and sound from the tape where he’d been recorded. Everybody was moved to tears. - The origins of this Finnish band go back as far as 1983. They took their name from a movie. Funnily enough the movie didn't eventuate but the band did. But it took them a few years to get their sound and image right, plus the release of a few 45' singles to generate interest. The two band instigators were singer Chris Holm and guitarist Jan Stolpe. The other two members joined up a few years later after the typical revolving door band membership had settled down. By 1985, the band released its first single, the following year it released a second single, plus it had won a local rock-band competition - generating a greater degree of interest in their musical offerings. 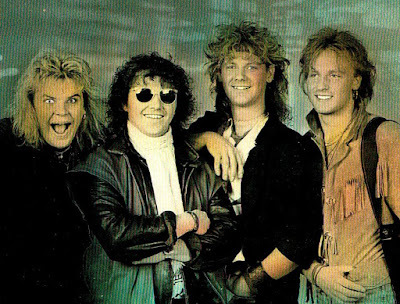 In 1987, Wild Force signed up with an independent label called Lace Factory - the band also released a third single, but more importantly, a debut album was in the making - the WF team heading to Sweden to record it under the guiding hand of Dan Sundquist. Wild Force deliver us superb Scandi based melodic rock in the mould of Treat, Skagarack, Bad Habit and Bon Jovi - the latter a good example when you hear the vocoder overkill on the opening 'S.O.P.H.I.A' - a terrific opener I gotta say. You know you are listening to an AOR album when a song title called 'Frozen Hearts' pops up. This one was heard earlier as one of the band's prior single releases - and reinforces the band's claims as an excellent prospect. 'Take Me Far Away' features an overall smooth delivery and a big memorable chorus. 'It's Been A Hard Time' is an attempt at party-rock, though the compressed nature of the production doesn't help. 'Holiday On The Radio' is more party styled rock with Bad Habit flavours running through the mix, while the style of the first couple of tunes returns with the excellent 'I've Been Runnin' Away'. 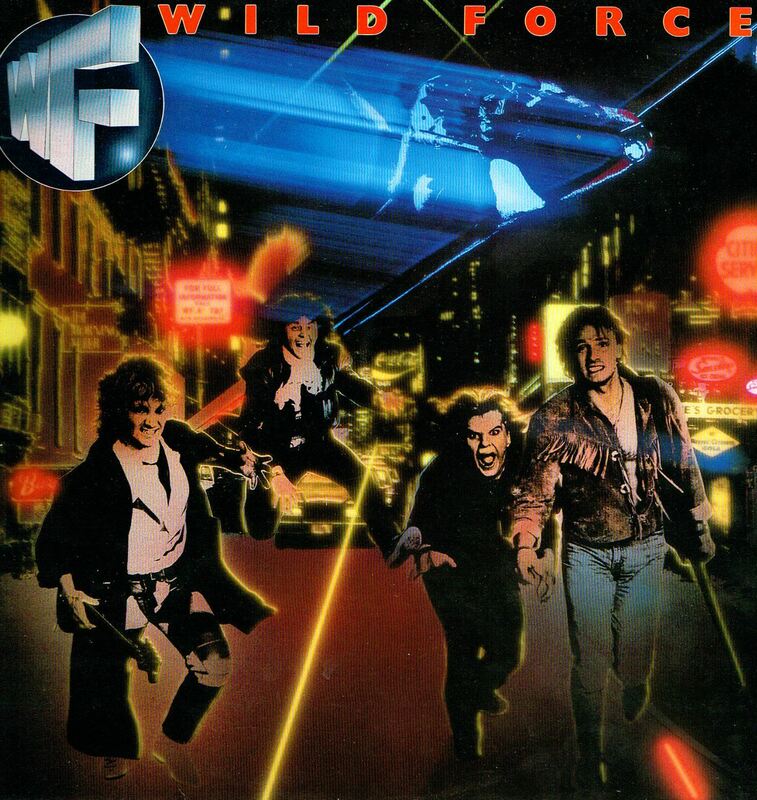 Wild Force pick up the pace with the mainly guitar-rocker 'Don't Rush Your Future', another one of their earlier singles releases. Again, the comparison to Bad Habit is made after listening to 'You Give Me More', surely a good thing, and not to forget the obligatory ballad - 'I Want You To Stay' puts in an appearance toward the end of the album. Keeping up the high quality thus far is another classy rocker 'No Guarantee', with lots of swirling keys and stinging guitars.